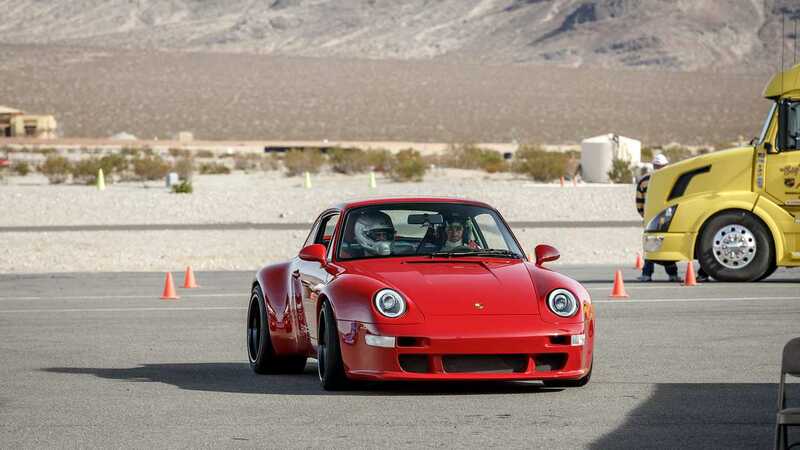 My first drive of a 993-series Porsche 911 threw me for a curve. Having owned (and loved) a 1983 911 SC, I was weirdly drawn to the final iteration of air-cooled Porsches. The 993, whose model years spanned 1995 to 1998, represented the ultimate evolution of the breed, the end of an era. But when I finally got behind the wheel of these fabled machines, the 993 felt almost too refined and soft, the kind of car that would make an excellent cross-country cruise missile, not a raucous track tool. Enter 2018 and air-cooled 911s have become endlessly fetishised by the Porsche cognoscenti. Handcrafted Singer Vehicle Design models can reach the $750,000 (approx. £589,000) mark, and their success inspired a wave of customisers out to build high-dollar re-workings of late, great air-cooled P cars. 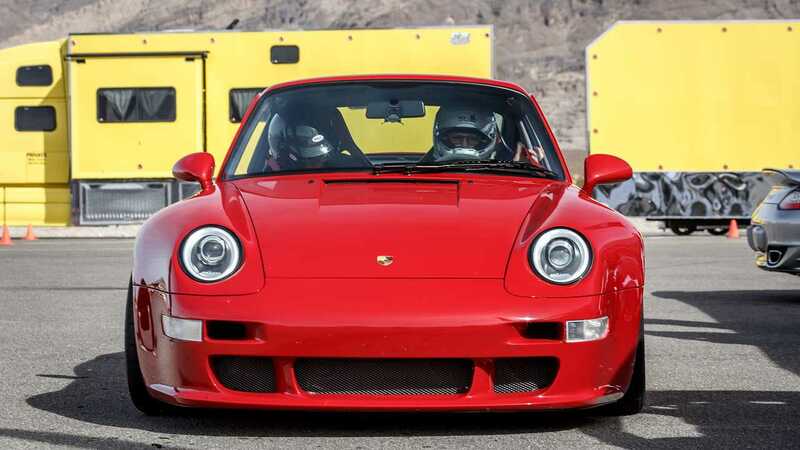 And so I find myself at Spring Mountain Motorsports Ranch at the helm of a Porsche 993 that’s virtually unrecognisable from the bone stock mild child of my first introduction, one that stretches the air-cooled paradigm to the extreme. The Alcantara steering wheel I’m grasping belongs to a 993 reworked by Gunther Werks, a completely ground-up re-interpretation with a laundry list of lust-inspiring mods under the purview of Peter Nam, founder of Vorsteiner, the Southern California-based firm responsible for high-end aftermarket wheels and carbon fibre bodywork. But before experiencing the full-blown Gunther Werks (which starts at $525,000 (£412,000), and can easily swell beyond the $600k (£471k) mark), I set out for sighting laps in a stock 993. I’m familiar with the model since I put a 993 in my garage nearly three years ago, but this is my first time experiencing the model on a racetrack. As expected, there’s a certain clinical, even-keeled stability to this final iteration of air-cooled engineering when pushed beyond its comfort zone. The 282-bhp, 3.6-litre mill isn’t monstrously powerful by modern standards but does emit that unmistakably mechanical flat-six song of valve noise and exhaust bellow. The rear trailing arm setup avoids the pucker up factor associated with earlier 911s, planting the tail with a surprising amount of grip – it’s only during intentional misbehaviour that unfriendly rotation enters the equation. But there’s also a certain softness to the proceedings, with notable body roll and tyre sidewall flex– many of the tendencies that inspired me to make small enhancements to my car’s suspension setup in the interest of creating a sharper, more immediate personality. 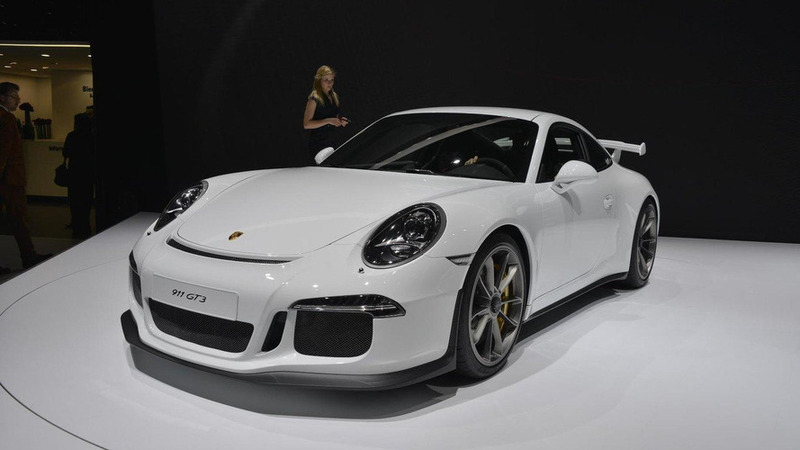 The Gunther Werks, on the other hand, turns Porsche’s rear-engine, air-cooled formula on its ear. First and foremost is suspension geometry, specifically front wheels that have been pushed outward so they’re square with the rears. The edge-to-edge lineup helps turn-in and stability, with monster 295-millimetre front and 335-mm rear rubber mounted to lightweight, forged aluminium, titanium-bolted 18-inch hoops. The setup dramatically alters how aggressively the 400R addresses the road, along with a wheelbase that’s been stretched about two inches. Suspension options include hardware from KW or JRZ, the latter offering an additional active damping option that performs calculations up to 1,000 times per second. Also key to the formula is extreme weight savings: Gunther Werks claims a curb weight of 1,214 kg, which is nearly 159 kg shy of the donor 993. The power plant has undergone an extreme makeover in the hands of Rothsport Racing’s Jeff Gamroth, one of the pivotal, old guard, air-cooled engine gurus. Thanks to a comprehensive reworking, the mill, now displacing 4.0 litres, produces in excess of 400 bhp and 330 lb-ft of torque. Stopping all that madness are six-piston Brembo CCM-R units, whose hardware alone will set you back around $40,000 (£31,400). My first exposure to Gunther Werks came earlier this year in Southern California, along the high-speed, mostly constant radius stretches of Angeles Crest Highway. The old version of the 400R, which ditches its 911 nomenclature in what appears to be a strong suggestion from Porsche AG, came equipped with narrower tyres, taller gearing, and an engine tuned for higher-end power delivery. This time around reveals a markedly different experience: not only is the track an inherently more demanding environment than public roads, I was to share the tarmac with Radicals, Dodge Viper ACRs, and a modern 911 GT3. The Gunther Werks fires up with a singular roar that signals its mutant DNA; press the small round button on the centre console, and a noticeably louder exhaust note kicks in, as does 30 extra horsepower. My first few laps reveal a meaty power band with more midrange pep than before, a feeling that’s especially palpable thanks to the shorter gearing. But the car, whose suspension has been completely re-calibrated since my first drive months before, is setup for the street; with updates to the roll centre, caster, and bump steer settings, the setup doesn’t feel quite right. After a session, the crew goes to work on the suspension, later revealing that the rear sway bar was disconnected. That’ll do it! After a session, the crew goes to work on the suspension, later revealing that the rear sway bar was disconnected. That’ll do it! 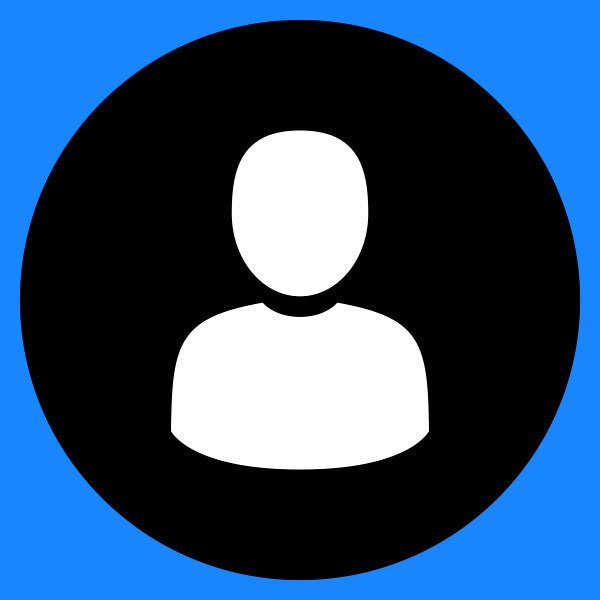 Hot laps the next day reveal far more confidence-inspiring feedback, inspiring me to push harder and faster as I gain a better understanding of the circuit’s subtleties. Before long, I’m making the Gunther Werks do things that seem completely out of character for any 20 year-old Porsche. There’s an astounding amount of mechanical grip during mid and high-speed corners – enough to make the fact that I’m exploring the limits without any electronic intervention (save ABS) a moot point. It’s an organic, driver-focused experience, and once I find that groove, I become carried away: I’m passing more than my share of Vipers and Radicals, and a report from the pits later on reveals that my pace was within two seconds of a current-gen GT3 (which just happens to be packing 100 more horsepower, give or take). However, Gunther Werks’ approach isn’t about lap times or specs, but rather the intangibles of its driver experience – the way the shifter glides into gear and the throttle summons every last one of those hard-earned, naturally aspirated horsepowers. It’s about the improbability of that chassis and suspension pairing and how the front wheels attack turn-in while the low-slung body makes its way through the corner, exiting with enough power to push it towards the rumble strip as you track out the steering. Gunther Werks overlaid the hallmark 993 characteristics with an athletic ability that seems to defy the format and the genre, and it should: this new car has been fussed over with obsessive tuning and fiddling, tweaking and re-engineering. And yet, there are always more mods to be done: the street-biased suspension setup was soft on the track, bottoming out under load. The pit team also indicates that the optional spoiler could have shaved another one to two seconds off the lap times. But that’s the rub when it comes to handbuilt, half-million dollar “reimaginings”: if you were chasing ultimate numbers, you’d be bragging about how your 1,200 horsepower Nissan GT-R costs a fraction of the cost of a carbon fibre air-cooled Porsche, but spanks it in the standing mile. Yet it ultimately comes down to less obvious numbers, like how many hours were spent tweaking the alchemy of a 20-year-old design so it drives like an army of engineers were given free reign to build a more capable beast using 21st century technology. 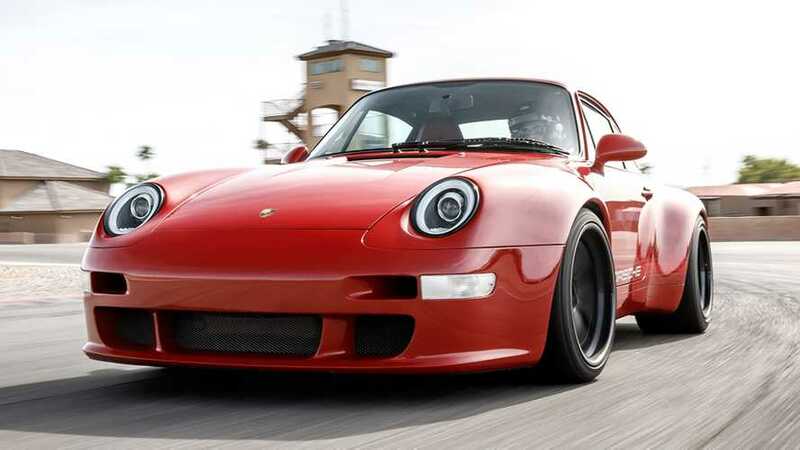 It’s certainly not for everyone, but for the 25 buyers who lay claim to Gunther Werks’s vision of a Porsche 993, they will be treated to an experience that blows a nostalgic kiss to the past while taking a bold step into the future.